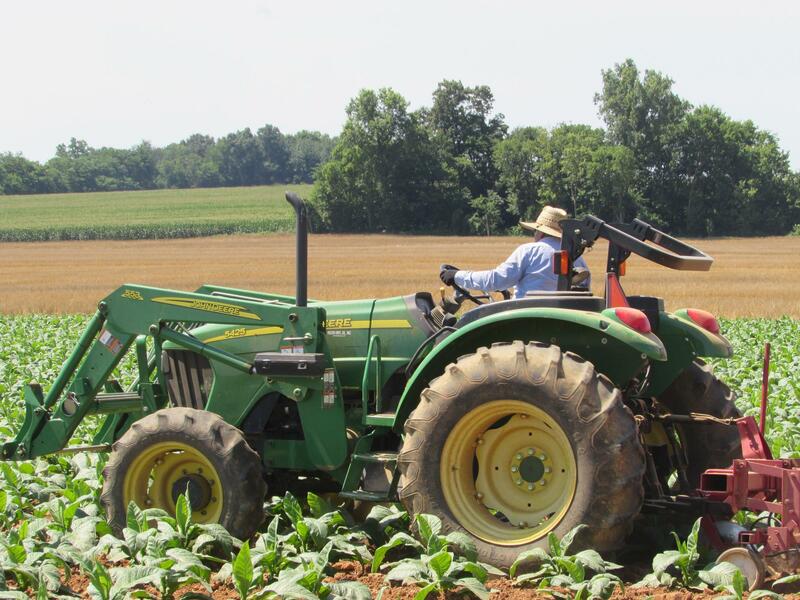 Juan Aldana Regoza drives the tractor on Phil Holliday's tobacco farm in Logan County, Kentucky. 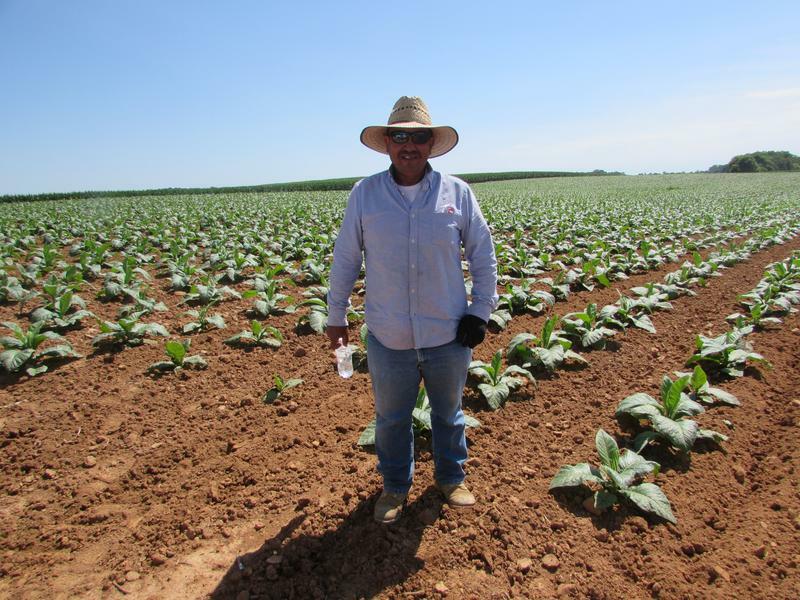 Juan Aldana Regoza has been working on Phil Holliday's tobacco farm in Logan County, Kentucky for 21 years. Phil Holliday with interpreter Mayra Duncan of the Logan County Migrant Education Program, and at right, Jan Holliday. Jonathan Aldana Sanchez with interpreter Mayra Duncan at the Holliday farm. 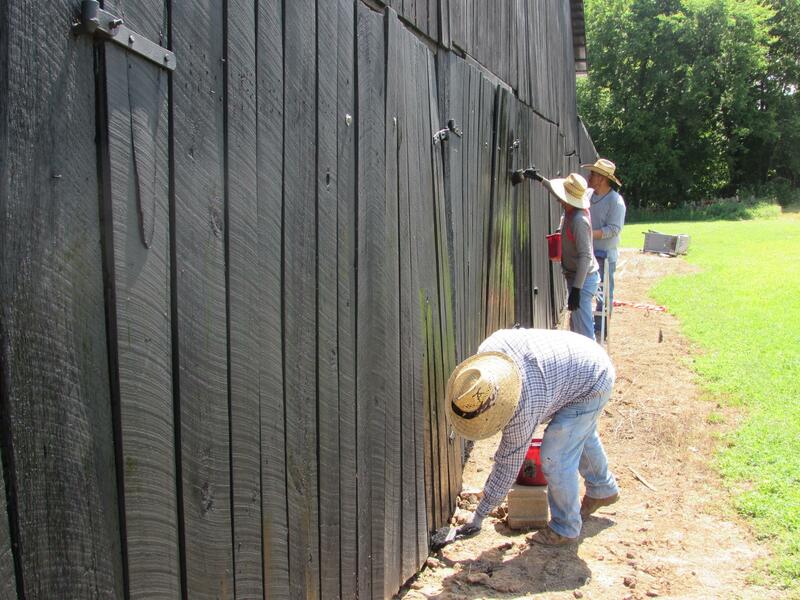 Painting at Phil and Jan Holliday's farm are, front to back, Misael Tabullo, Jonathan Aldana Sanchez and Edgar Sanchez. Juan Aldana Regoza steps down from the tractor to talk with interpreter Mayra Duncan from the Logan County Migrant Education Program. Duncan asks the 49-year-old Regoza how long he’s been working on this farm. 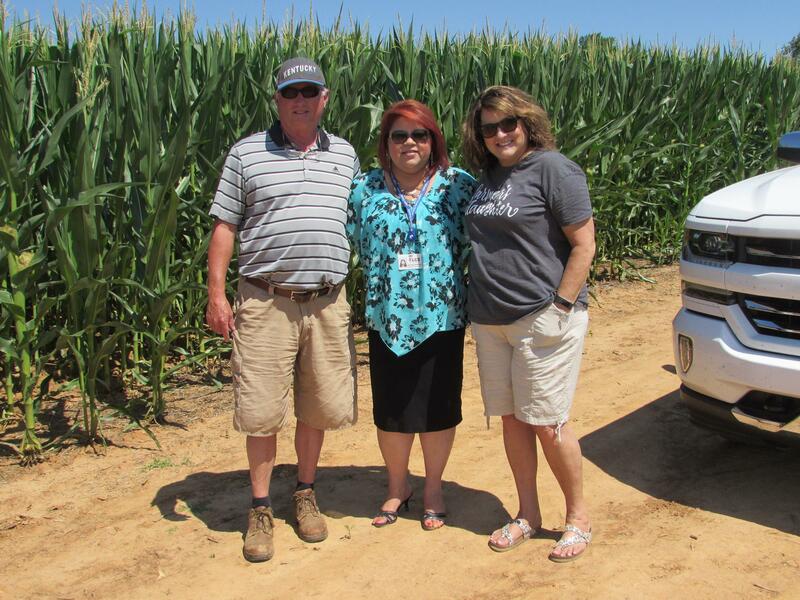 Holliday has been farming for 40 years on these acres in Logan County about 15 miles north of the Tennessee border. He says he used to hire local people to work on his tobacco farm. Holliday is one of 841 Kentucky farmers who requested workers under this temporary visa for the 2017 crop year. Holliday has 16 H2A workers this year. Juan Regoza is here with son and two nephews. Another worker has also been coming for 21 years. Phil’s wife, Jan Holliday, says the farm family and the H2A workers develop a relationship. This is the eighth year Edgar Sanchez is working on the Holliday farm. Sanchez is 30 years old, married with four children. He tells Mayra Duncan he’s grateful for seven months of steady work in Kentucky, because he earns more than he can earn in Mexico. The H2A workers are paid a minimum of $10.92 an hour and provided with housing and transportation. Jeff Gatewood is coordinator of the H2A program in Kentucky and says the farmer, or an agency representing farmer, initiates the process. Gatewood says it’s a pretty broad recruitment effort. Tennessee is the neighboring state where Kentucky farmers have to try to recruit workers. Kentucky Agriculture Commissioner Ryan Quarles says the state is increasingly using the H2A program, and that follows the national trend. 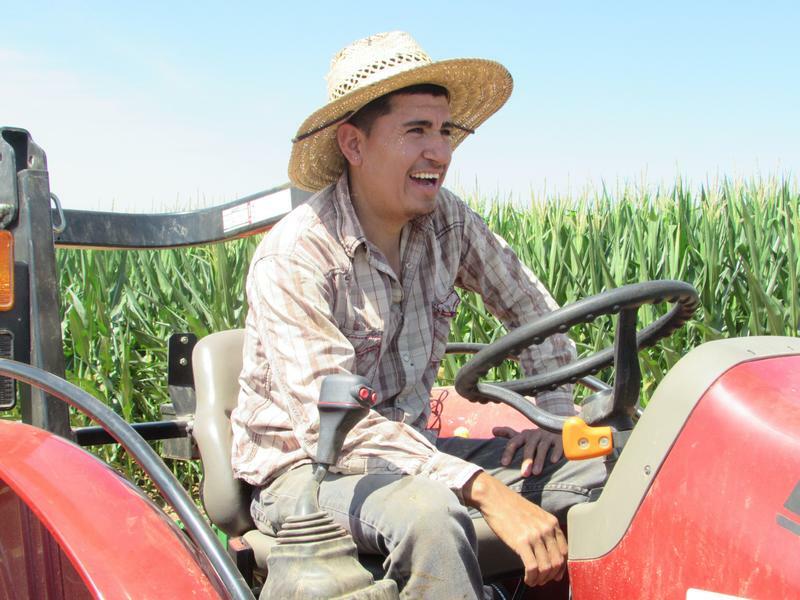 Statewide, Kentucky has about 7,500 farmworkers through the H2A visa program this crop year. That’s up from 4,800 five years ago. Commissioner Quarles says there’s one obvious fix he’d like to see to streamline the H2A program. 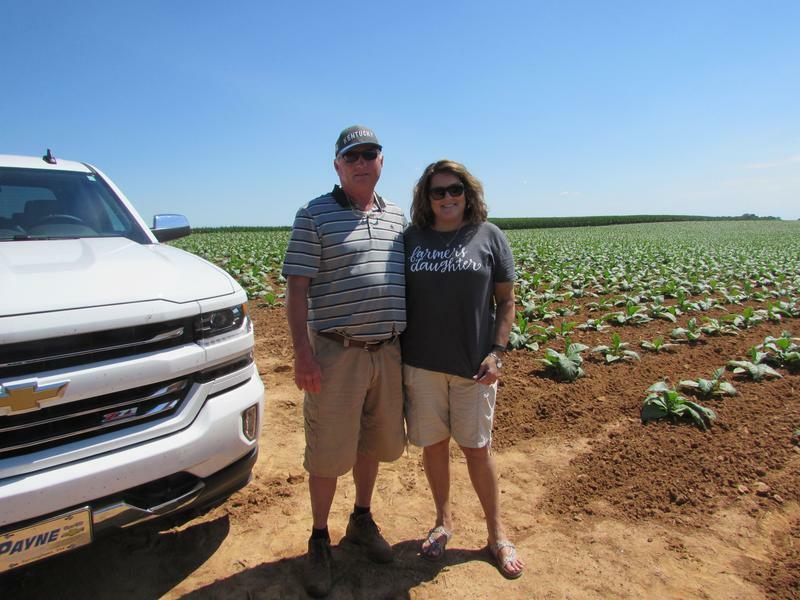 Multi-year contracts would simplify the process for farmers like Phil Holliday who has been depending on some of his H2A workers for 21 years, and who has a relationship with these temporary workers that continues across generations. A double-digit drop in corn and soybean production by Kentucky farmers is being predicted in a new report. 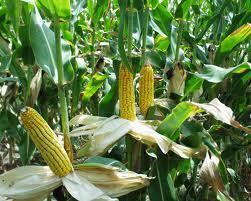 Corn production in the state is forecast at 200 million bushels, down 18% from last year. Soybean production for Kentucky is forecast at 67.6 million bushels, a 17% drop from 2013. The predictions are in a report from the National Agricultural Statistics Service's field office in Kentucky. It estimates statewide corn yield at 138 bushels per acre, down 32 bushels from 2013. Soybean yield is estimated at 40 bushels per acre, down 9.5 bushels from a year ago. Kentucky Allows New Pesticide To Save Crops. Will It Hurt Or Help? 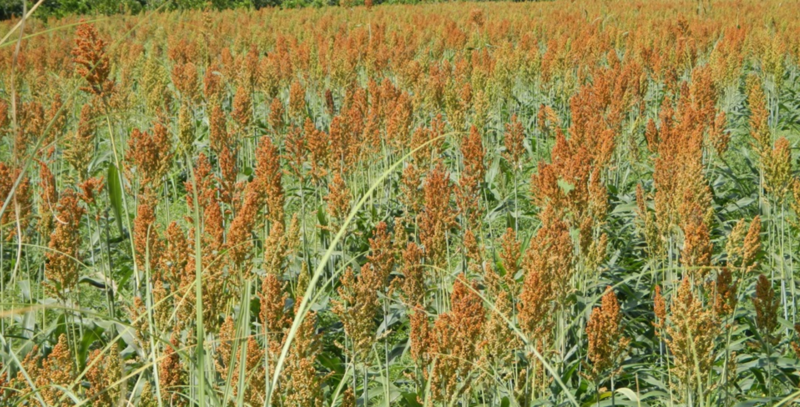 Predicting the imminent arrival of an insect species that could devastate Kentucky’s sweet sorghum crops, the state Department of Agriculture has declared an emergency and is letting the commonwealth’s farmers apply a new pesticide to protect their plants. But the pesticide in question — Sivanto Prime — has come under fire from environmental groups who say it hasn’t been properly vetted and could pose a risk to bees and other animals.